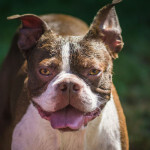 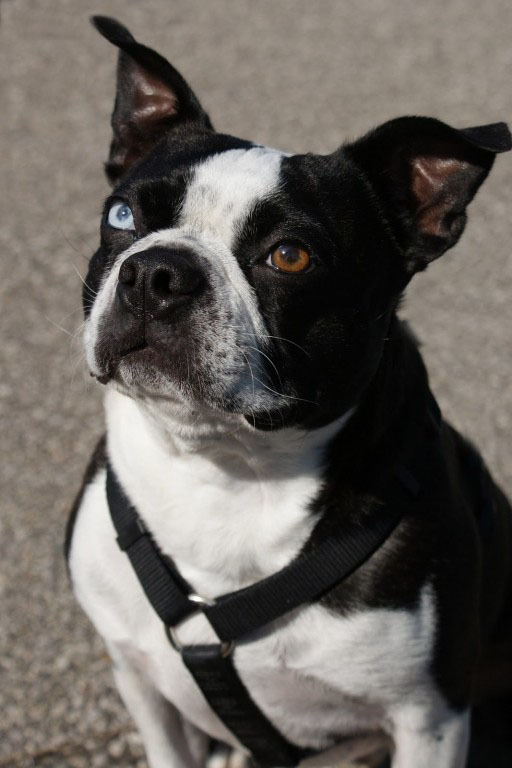 Look at these pictures of a brown and blue eyed boston terrier dog named Wendel. 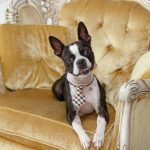 In the first picture, we can see that Wendel is a photogenic dog, a canine model. 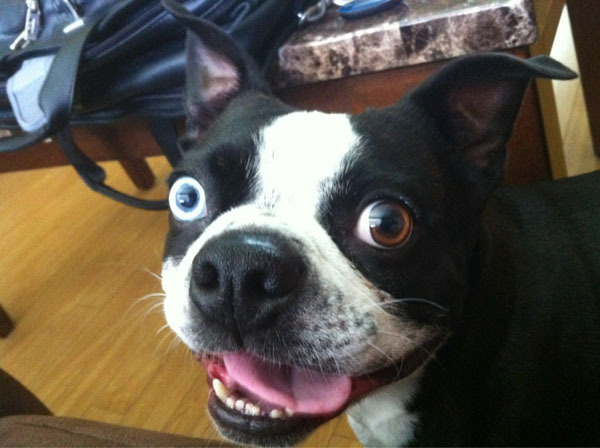 In the second picture, wendel is happy and smiling. 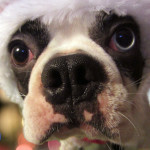 Thanks to the owner of Wendel for sharing the pictures via the bterrier.com Twitter ! 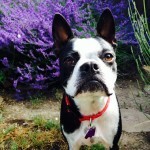 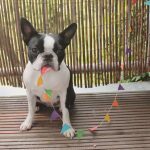 Blue Eyed Little Boston Terrier named Reagan is a Special Boy from Bristol!